We believe that home is the foundation for our lives, and it should provide an atmosphere of contentment and calm where individuals can thrive. Yet for many families in the United States, and right here in Monmouth County, the concept of home seems out of reach. Launched in 2017, Home is the Key is a multichannel marketing campaign unified around a single theme, to shine a light on Habitat for Humanity and the need for affordable housing. During April, Home is the Key campaign focuses on housing issues by partnering with local organizations, businesses and volunteers to continue to raise awareness for the cause. For the month of April, in support of Home is the Key, every person who completes an auto, fire or life insurance quote, our local State Farm® agent will make a $10 donation to Habitat for Humanity in Monmouth County! Remember to mention Quotes for Good and our organization to qualify! 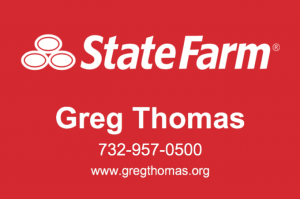 Call 732-957-0500, or visit www.gregthomas.org to complete a quote or for more information. 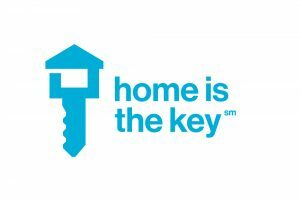 Stay tuned for more activities where you can participate in #HomeIsTheKey! In January, we welcomed a partner family to their new home in Rumson. They shared with us the impact of having a place to call home means to them. “For us a home means to live in peace and harmony. We are happy that a home allows us to live honestly and to be able to face the difficulties that present themselves in the best way possible. 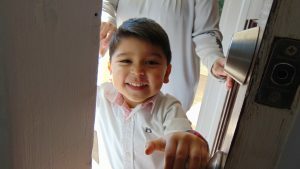 For our son Nicholas home means to have space to play with Charlie [their pet dog] and help mom make banana bread.” To learn more about this partner family click here. Previous PostHabitat in Monmouth hiring for 3 AmeriCorps positions!